P. Joseph Lehman, Inc., Consulting Engineers assisted M.A. 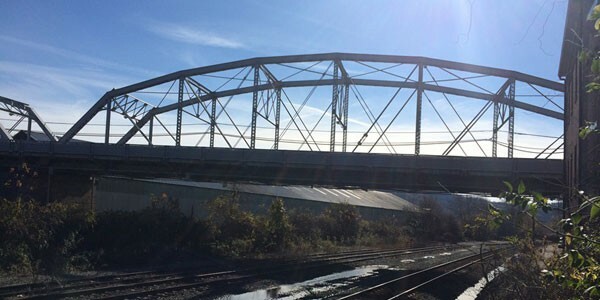 Beech Corporation in successfully completing the demolition of the Donora-Webster Bridge during the 2014 and 2015 construction seasons. 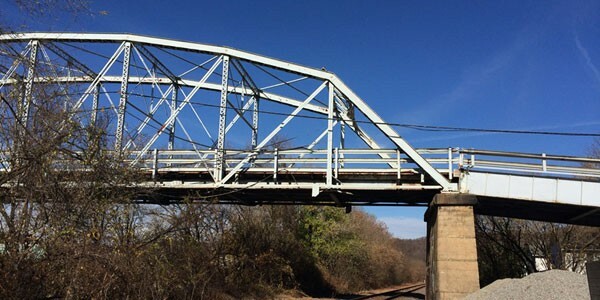 Located in Westmoreland County, PA, the bridge crossed the Monongahela River, multiple municipal streets, and railroad lines operated by Norfolk Southern and CSX. It was originally constructed in 1908 and carried vehicular traffic between Donora Borough and the village of Webster until July 2009. The structure was rehabilitated multiple times, with the last major rehabilitation work in 1986. 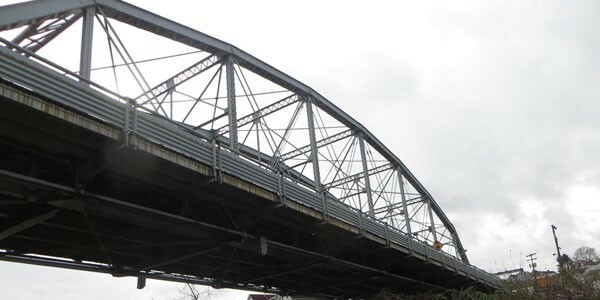 An important link between the two communities, the bridge had been slowly deteriorating and was posted with a 3-ton weight limit, reducing its traffic load to approximately 3,000 cars per day. A bridge safety inspection in 2009 revealed that several of the primary structural components had significantly deteriorated, and the bridge was finally closed. 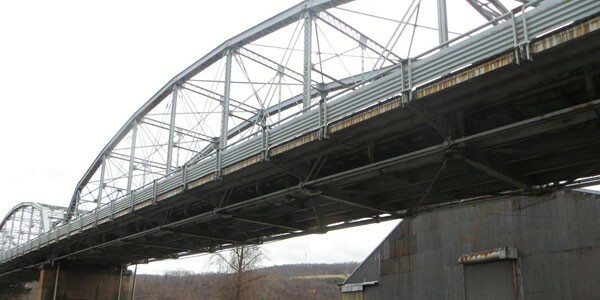 The Pennsylvania Department of Transportation considered various replacement or rehabilitation options, but the estimated cost—nearly $30 million—was prohibitive. The bridge was listed on the National Register of Historic Places, which recognized the property’s historical, architectural, or archaeological significance, making it difficult to decide to demolish the bridge. But in 2014, M.A. Beech was awarded the demolition contract of approximately $2.6 million. Lehman Engineers performed in-depth structural inspections of the steel girder approach spans (Spans 1-2, 8-14) and the truss spans (3-4, 5-7) that would support construction equipment during the demolition process. Following the inspections, Lehman analyzed the existing structure to determine the load carrying capacity and to determine deficient and critical structural components, and collaborated with Beech to evaluate equipment loads for the proposed demolition work. Due to the deficient nature of the structure, we designed temporary support measures to facilitate the proposed equipment use on the approach spans and temporary retrofit measures to provide adequate structural capacity to facilitate equipment use on the truss spans. To protect the active railroad lines below the work areas, we designed an underdeck shielding system to prevent the railroad from being damaged by any fallen debris. Due to the railroad, municipal roadways, and adjacent buildings, Spans 3 and 4 were removed utilizing multiple crane operations. Lehman identified crane placement and developed sequencing for the truss removal. In order to demolish Spans 5-7—over two railroads and the Monongahela River— M.A. 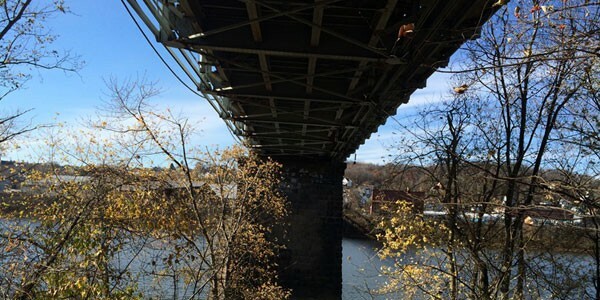 Beech contracted Demtech, LLC of Saxonburg, PA to drop the bridge from the piers by controlled blasting. We coordinated with Beech and Demtech personnel to develop a plan for weakening the bridge prior to blasting. Iterations of structural analyses were performed to determine acceptable limits of removal and appropriate blast location points. On July 1, 2015, with the detonation of 380 explosive charges on the bridge, over 700 tons of steel were dropped into the Monongahela River. With multiple cranes in operation on land and on the river, the debris was removed, and the demolition work was completed. Due to the location and nature of the structure and its removal, demolition plan documentation was reviewed by a variety of agencies, including the United States Army Corps of Engineers, United States Coast Guard, Pennsylvania Department of Transportation, CSX Corporation, and Donora-Southern Railroad.